Earth's Alpha Site has been compromised, and, as such, its Beta Site has been repurposed as Earth's main bolthole in case of attack. This means that the development of a new Beta Site has become necessary, one that will not only sustain life in the event of an emergency, but somewhere that a colony can be established if required, and technology and infrastructure developed. 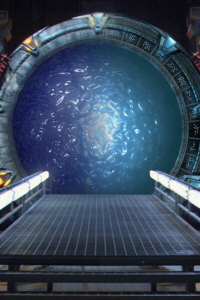 A planet has been determined suitable - P5X-088 - on the outer fringes of the Milky Way, far enough away that, without a ZPM to power the Earth stargate, two jumps are required: one to P4C-202, and then on to P5X-088. Aside rom a small number of local planets, P5X-088 is so isolated, the only planet it can reach that will allow a link to earth is P4C-202. P5X-088 is similar in size to earth, as demonstrated by a number of aerial surveys conducted by a puddle jumper sent back from Atlantis on the Daedalus. There are a number of climates, including temperate, rainforests, and deserts, and, to all intents and purposes, the planet appears to support an ecosystem that mirrors earth. It does, however, have two suns, and three moons, the sky turning a deep shade of purple overnight instead of inky black, due to the relative orbits of the planet and its moons. Surrounded by temperate forest, the compound is bordered by a rapidly running river to the east, wide and fast enough to be a potential danger, steep hills to the north, covered in trees, and, to the south and west, an area of relatively flat grassland. Native flora and fauna are not dissimilar to earth, and the scientists are considering the possibility of introducing earth livestock for breeding and slaughter. The outpost was founded in mid September 2015, a short walk away from the gate itself, and is currently a mixture of temporary structures, tents, and the makings of some more permanent buildings, but it is still very much a community under construction. Personnel come and go, most stationed there for just a few days or weeks, but some choose a longer tour. At any one time, the outpost is home to 30-50 individuals, a mixture of military and civilians, and, while the base is ostensibly under military governance, there is a certain amount of relaxation of strict military protocol, although exactly what form that takes depends on the ranking officer at the time. A relief team is due at the outpost, comprising of military staff, a fresh medical team, and a number of other civilians, with the team scheduled to stay on P5X-088 for six weeks. An example of the more permanent structures, used for labs, medical, admin, etc. And an example of the barracks tents.